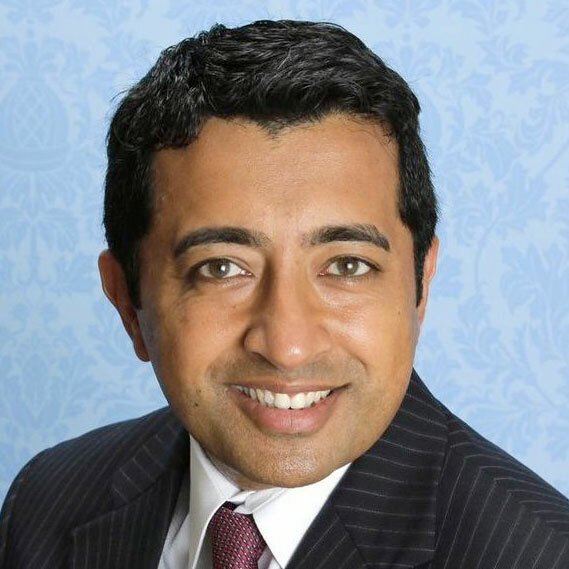 Santosh Govindaraju is the Portfolio Manager of Convergent Capital Partners LLC, a real estate private equity firm focused on opportunistic real estate investments primarily in Florida. Since founding the firm in September 2008 through 2014, Santosh has led the team in the acquisition of approximately $550 million in commercial real estate assets. Santosh is responsible for sourcing the acquisitions, defining exit strategies, negotiating workouts, and overseeing strategy. Mr. Govindaraju has been investing as a principal in commercial real estate since 1999. Santosh began his career at Lehman Brothers in 1997 in New York as a trader of fixed income derivatives, including various U.S. Dollar interest rate products such as swaps, caps, and floors. Mr. Govindaraju was named Indo-US Chamber of Commerce Businessman of the Year for 2002. He is past President of the Asian American Chamber of Commerce. Mr. Govindaraju is a member of Leadership Florida, Committee on Foreign Relations, and the Zell Lurie Institute at the Wharton School. Mr. Govindaraju graduated from the University of Pennsylvania’s prestigious Jerome Fisher Program in Management and Technology (M&T), with a Bachelor of Science in Economics with concentrations in Finance and Entrepreneurial Management from the Wharton School and a Bachelor of Applied Science in Systems Engineering from the School of Engineering & Applied Science and minors in Theatre Arts, Mathematics, and South Asian Studies.